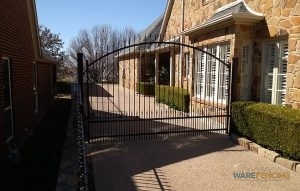 Are you looking for a reliable fence company in Burleson, TX and the surrounding areas? The expert crew at Ware Fencing can help you with fence repair, in addition to fence installation or replacement. Our services are meant to help improve the curb appeal as well as the property value of your house or property, while also supplying you with a functional addition. Regardless of what your objective is for your new fence installation, you can rely on our team to make your idea a reality. Call our team of fencing experts today at 817-948-4503 to learn more about our services, and your fence options. 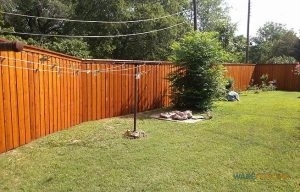 This local company supplies professional fence repair that Burleson can depend on. We also provide professional farm and ranch fence services, providing reliable fence answers for cattle, horses, and more. For our home fencing solutions, we have plenty of options you can choose from, including aluminum, cedar, iron, as well as chain link, just to mention a few. Cedar fencing provides a tremendous amount of privacy, but you can count on aluminum fences to not obstruct your view, if that’s what you prefer. For further home security, you can pick from our wrought iron fencing, or ask about our specialty security fence options. You can also contact us for custom fencing designs, so regardless of which type of fence you require, you can find it at Ware Fencing. Fence Design Get the fence you really want with a custom fence from Ware Fencing! We work diligently to be the fence company in Burleson, TX that this community can count on. We only utilize top quality materials, and customer service is our primary priority. Every client we work with gets a full inspection, and we work hard to build fences to your precise specifications. Give us a call at 817-948-4503 now to set up your appointment, or to request a quote. If you need a dependable fencing company, you can count on us. Split Rail Fencing Split rail fencing provides a traditional feel at an affordable price.